Mercedes-Benz Fashion Week Africa celebrated Africa’s place on the global fashion stage with a series of dazzling shows with Africa’s top designers – from Cameroon, Tanzania, South Africa, Rwanda, Nigeria, Mozambique, Botswana, the Democratic Republic of Congo, Ivory Coast, Kenya, Ghana, Senegal, Zimbabwe, Botswana and Angola. At a glittering ceremony in Melrose Arch, Johannesburg on Sunday, 2 November, the winners of the fifth annual Africa Fashion Awards were announced. 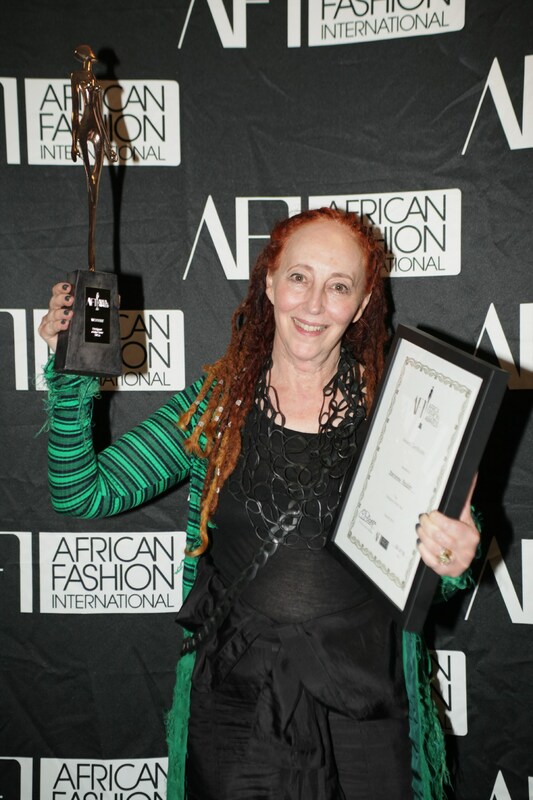 The Mercedes-Benz Designer of the Year award went to Marianne Fassler (South Africa), for her continued capacity to delight and surprise the fashion industry with her elaborate designs. As sponsors of this award, Mercedes-Benz will afford Marianne Fassler the opportunity to showcase her designs at an International Mercedes-Benz Fashion Week. These events are known to be one of the world’s largest platforms for brand exposure, drawing millions of flashing cameras with unparalleled glamour.